Keeping your place of business secure, and ensuring the security of the people and goods inside it, is an understandable and necessary concern for business owners and managers. No matter the size, industry or sector, all businesses with a physical premises are subject to therisk of a break-in, vandalism or other criminal behaviour. These risks can be mitigated, however, by taking proven steps to improve the security of your business premises. Just as you would assess and try to minimise risk elsewhere in your operations, taking a proactive approach to the security of your business premises can make a dramatic difference to your future success. Ensure your premises has a suitable, established external boundary and that you can monitor public access to your location. Consider controling the access of visitors to your business, for example, by implementing sign-in procedures in an office or mirrors to see into blind spots in a shop. Protect doors and windows with quality, functioning locks and promptly replace any worn or broken locks. Consider whether security shutters or grilles are necessary to secure your premises. Install a suitable alarm system and ensure everyone responsible for opening, closing or securing the premises knows how to operate the system and what to do if the alarm is triggered, both accidentally and because of a security breach. Arrange for the alarm system to be maintained and tested regularly. Consider whether security glass windows or security glass doors would improve the security of your location. In addition to external access points, think about how security glass could improve security inside, such as at service or payment windows. Assess your premises for hidden recesses and areas of poor visibility, particularly around access points and car parking. Consider adding external lighting to such areas and whether closed circuit cameras could help. Consider whether alarm systems, panic buttons and other such security measures are sufficient enough to protect your business or whether dedicated security personnel are also required. Establish a policy on working alone, identify emergency escape routes and ensure all staff are thoroughly trained on security procedures, including how to respond to emergencies. Establish employee responsibilities with regards to security procedures and identify who will hold keys and who is responsible for locking up the location. Minimise public visibility of or access to valuable, easily stolen items such as laptop computers or tablets. Label them as business property and keep them out of sight or locked away securely. Minimise the amount of cash held on the premises, establish sensible cash-handling procedures, particularly in public view, and consider installing a safe. 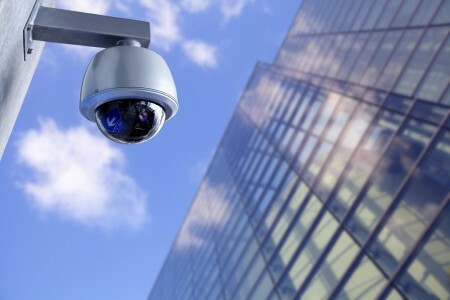 An investment in the security of your premises is an investment in the future of your business. Security measures not only mitigate risk from criminal activity, they improve the feeling of security for your employees and patrons. For more information on how security glass can help secure your business premises, contact Diamond Glass. Our team will be happy to discuss your needs and explain how security glass can benefit your business.